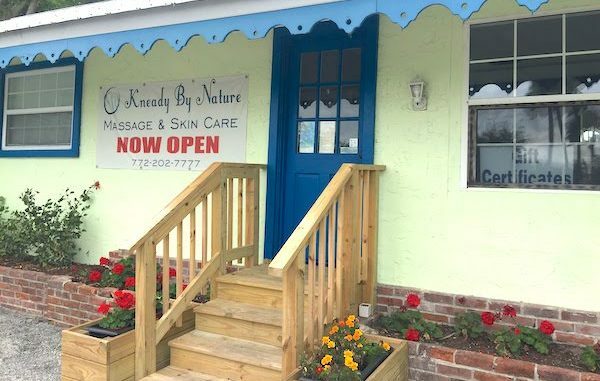 Kneady by Nature day spa for massage and facial treatment in Sebastian, Florida. SEBASTIAN – We recently visited Kneady by Nature for massages and facials and left feeling like a million bucks. While at the spa, we learned that Kneady by Nature Massage & Skin Care offers professional, therapeutic and relaxing massages and facials. 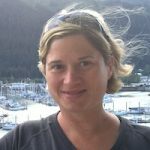 Professional Massage Therapist and owner Kristine Fleming performed our messages; we both left feeling like she listened and performed magic on our knotted up areas leaving us feeling relaxed and rejuvenated. Fleming has been in business for over 25 years in Indian River County. She offers traditional massage and various other styles after she assesses what you are hoping to achieve. Kneady by Nature offers 30, 60, and 90-minute Traditional/Relaxation, Pregnancy, Neuromuscular Therapy, Hot Stone & Active Release Technique massages. Master Aesthetician Maura Jacob performed our facials. We both opted for their monthly special Wholly Organic Facials featuring CBD treatments. We enjoyed our facials; they left our skin feeling clean, healthy, and refreshed. The Wholly Organic Facials featuring CBD treatments is on special now through March 31, 2019. Their next special will begin on April 1st. Facial options include Monthly Specials, Deep Pore Cleansing, Signature, Anti-Aging with Peel, Vitamin C, Microdermabrasion (optional with peel), Facial Waxing, Back Treatment, & Lash and Brow Tinting. Kneady by Nature also offers products such as CBD Oil and Topical Pain Relief Balms, Organic CBD Facial and Body Products, Skin Care Products & Essential Oils, & Handmade Candles and Soaps. The CBD facial products were very soothing and relaxing. The product really works, and I have never used CBD Oil prior to this visit. I am now using some soap and an elasticity serum, which I use nightly before I go to bed. What a difference it makes! My skin is glowing and hydrated. Book today by going to the Kneady by Nature website or calling (772) 202-7777. Kneady by Nature is located at 1201 Indian River Drive in Sebastian, across the street from Tiki Bar & Grill.